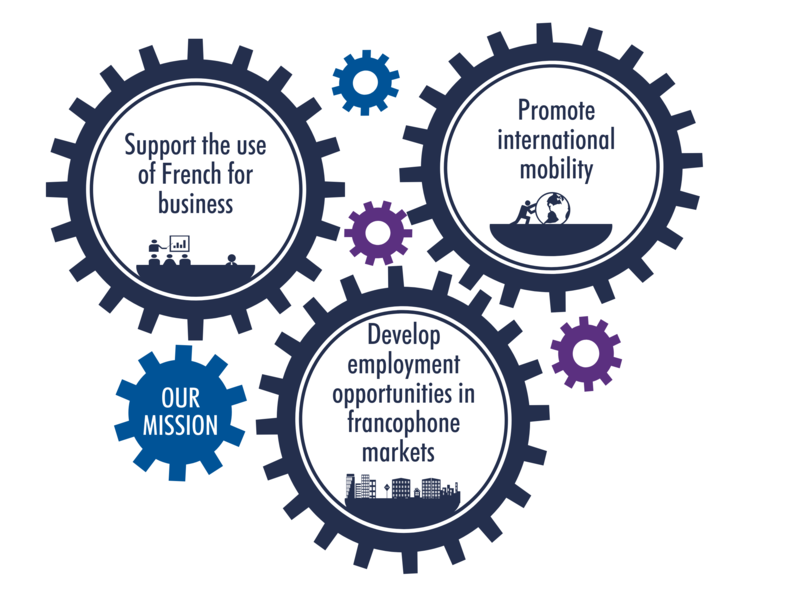 Representing the interests of more than 670 000 French companies, most of them involved in global strategies, the Paris Île-de-France Regional Chamber of Commerce and Industry (CCI) is convinced since 1958 that being able to work in several languages is a precious added value for individuals, executives and companies. French is spoken by 274 million people in the world, it is the 2nd language learnt and the 3rd language used for business purposes. Considering the demographic and economic growth of French speaking areas, mostly in Africa, these figures will definitely increase in the coming years. Speaking French gives access to a French-speaking clientele, enables new markets to be developed and leads to a greater number of exchanges and partnerships. As a key player in the education field, through its renowned business and vocational schools, the Paris Île-de-France Regional CCI is deeply involved in training future talents and assessing professional skills. Through its service Le français des affaires / French for Business, created in 1958, the CCI is also promoting French as a main business. 43 000 individuals take each year the French language evaluation test (TEF) and Business French Diplomas thanks to a network of 500 accredited French for Business centers in 150 countries. 2 500 French teachers benefit from its online and on-site trainings for professional purposes. French for Business offers as well a wide range of online teaching resources for business French.